The Rockingham County Sheriff's Department provides emergency dispatching services. 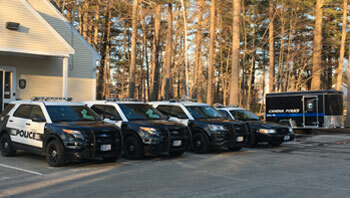 The Candia Police Department is a full-time department consisting of full and part-time officers, an administrative assistant and an animal control officer. Officers to speak at local social organizations for crime prevention, safety tips, etc. Safety and prevention resources for families and professionals focusing on child abduction, child sexual exploitation and Internet safety. A nationwide program that promotes safe firearms handling and storage practices among all firearm owners through the distribution of safety education messages and free firearm safety kits. Find out about common consumer scams, identity theft, insurance fraud and more on the New Hampshire Department of Justice website. A guide to navigating local resources for substance use disorder. Don't drink and drive...download the SaferRide app and get home safely. NHTSA's SaferRide app helps keep drunk drivers off our roads by allowing users to identify their location and call a taxi or friend to pick them up. The app is available for Android devices on Google Play and Apple devices on the iTunes store. 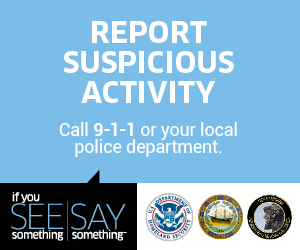 The “If You See Something, Say Something™” campaign provides direction on detecting and reporting suspicious activity.